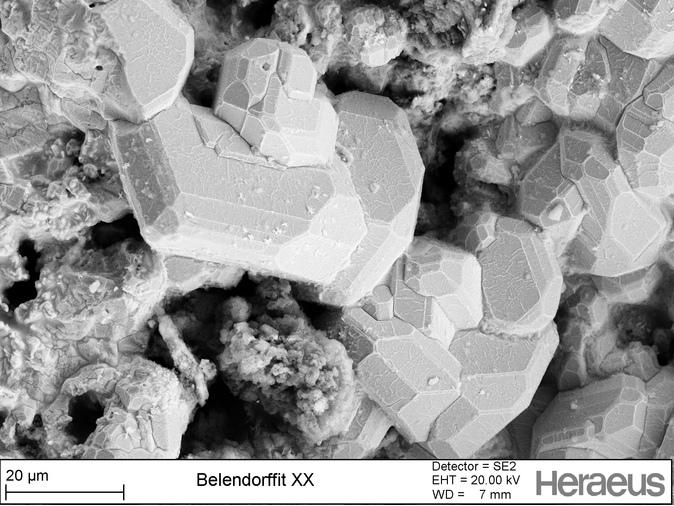 Belendorffite: Mineral information, data and localities. 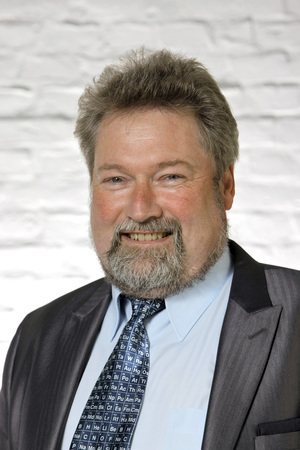 Named in honor of Klaus Belendorff (1956– ), mineral collector from Münster, Germany, who discovered the mineral. This page provides mineralogical data about Belendorffite. Bernhardt, H.-J. 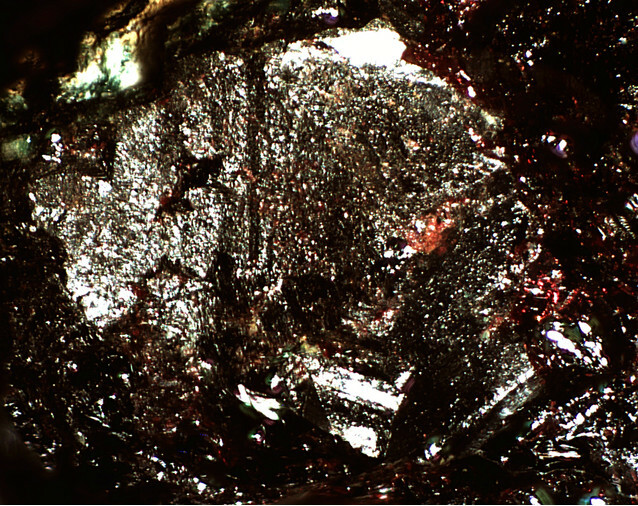 and K. Schmetzer (1992) Belendorffite, a new copper amalgam dimorphous with kolymite. Neues Jahrbuch für Mineralogie, Monatshefte: 1992: 21–28. Cuprite 2 photos of Belendorffite associated with Cuprite on mindat.org. Copper 1 photo of Belendorffite associated with Copper on mindat.org. Lindahl, T., Pilotti, A., Westman, S. (1968) Rhombohedrally distorted gamma phases in the copper-mercury and chromium-aluminim systems. Acta Chemica Scandinavica: 22: 748-752. Lindahl, T. and S. Westman (1969) The structure of the rhombohedral gamma brass like phase in the copper-mercury system. Acta Chem. Scand. : 23: 1181–1190. Jambor, J.L. (1992) New mineral names. American Mineralogist: 77: 1305-1309. New Mins. (1997), New Minerals 1990-1994. GEODA 2010/1; Kupi, L., Szakáll, S., Zajzon, N., Kristály, F. & Fehér, B. 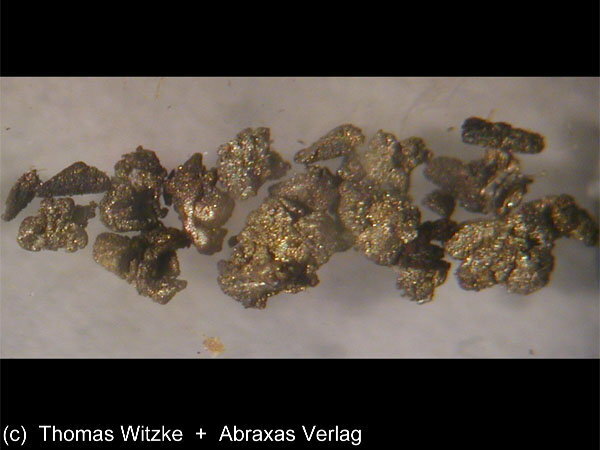 (2010): Copper-amalgams from the Rudabánya base metal mineralization, NE Hungary. 20th General Meeting of the IMA (IMA2010), Budapest, Hungary, August 21-27, CD of Abstracts, p. 430. Peter Kolesar / Rolf Luetcke specimen; Zajzon, N., Szentpéteri, K., Fehér, B., Szakáll, S., Kupi, L., & Barkóczy, P. (2012). New data on Cuamalgams, kolymite and belendorffite from Rudabánya, Hungary. In Acta Mineralogica-Petrographica, Abstract Series (Vol. 7, p. 160).